Stock block not sure on miles, (180xxx+) Stock port work on cylinder head. Crower springs and retainers, Supertech Stainless Nitrided intake valves and inconel exhaust valves, topline hla's. stock 1990 eclipse GSX cams. Stock ECU, going to try to go link asap. may try to black box ecu swap the car not sure though. Picked this car up around a month ago. Car was put together by a friend and then parted out. picked the shell of cheap. I had parted out a very rusty 1992 talon that was running and driving and have all of the parts from that car so plan to use all of the parts from the rusted out car to revive this one. Starting off the story of this car, it's a 1992 TSI AWD Fairly clean for an Ohio car. A friend of mine had owned this car for quite a while. The car was put together decent and ran very well for what it was and the (how do want to put it0 very inexpensive, not too quality parts used for the build. Long story short the car got sold to one of his friends of whom I know through the DSM community. This friend parted it out to recoup some of his money he had in buying the car. After seeing the car for sale i missed the first opportunity for a killer deal on the car and thought for sure it was gone. Lone behold about 7 months later the car came up for sale again and that was that i bought it on the spot . Granted its in pretty rough shape overall but it was cheap, and still solid enough to bring back to life. Basically all of the parts that are going into this car are from a very, very, and i mean like subframes about to fall out of the car, cant even lift the car up rusted out 1992 talon tsi awd car. The car ran really well aside from smoking a bit on first cold fire up, but first gear was gone out of the trans due to me being a bit too over zealous on my launches. So that was the last straw on the fate of that car once the trans decided it didnt like life anymore. Apart it came. Now fast forward about a year and a half or so the car got stripped and i saved any and every part i could out of that thing and stashed the parts away. 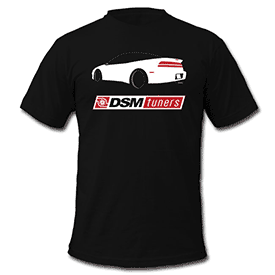 ive had many other dsm builds for other people and myself ive got 4 complete projects just in dsms currently. so i dug out all of these parts and am still currently digging them out. As of New Years day i regrettably tore the head off of the engine to do the valve seals. I really really hated to do that just because of how well the engine ran, but i just couldnt put the engine in this car knowing how bad it smoked on fire up. I pulled the head and got it apart and i found exactly what i was expecting. probably original valve seals all dry rotted and some were completely broken down with no sealing lip at all and the springs just hanging around the valve stem. I ended up using brand new valves that i had laying around for another build becuase i ran in to an issue that i always seem to find on these older higher mileage 4g63's the exhaust valves become fairly pitted and dont really lap in very well. which i was very surprised in seeing how bad these valves were even with how well this engine ran. So it got cleaned up and new supertech valves and crower springs, topline hla's, and stock 1990 gsx cams went back in this head. I didnt have any better cams laying around so i chose to use these which have the highest lift of the stock cams in a turbo 4g63. I am currently assembling the engine and getting ready to degrease the engine bay. engine hopefully will be going in by the end of the week. I will try to keep posting updates on the progress. Thanks for looking! Will post more pics from my phone in a bit! !